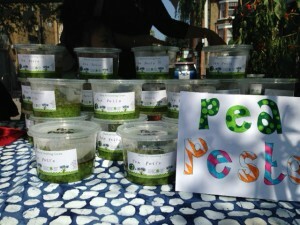 In July 2014, the local schools taking a stall at the market were Clapham Manor Primary and Larkhall Primary Schools – both spent the last two terms preparing their soil and planting seeds to grow fabulous plants and foods to harvest and sell at the market. 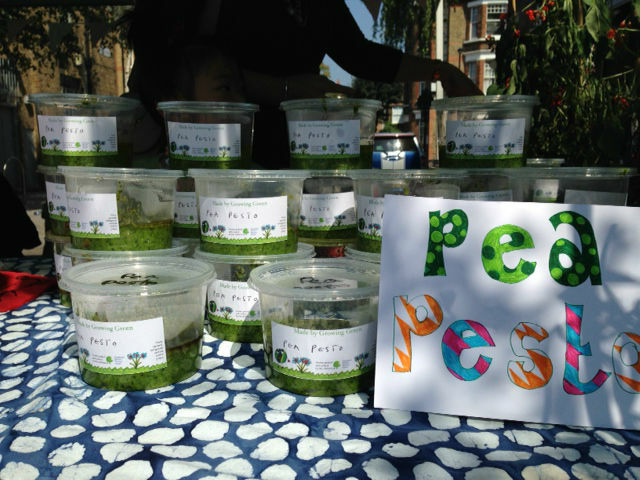 Each school took on different ideas of what to grow and what to sell at the market eg Clapham Manor Primary grew peas and beans to make delicious pea pesto and fresh eggsellent pasta! Larkhall Primary have a chicken and goose pen at their school, so fresh eggs were available as well as raspberry jam cakes made from berries grown in their allotment and beautiful cascading hanging flower baskets.